A Yale Cancer Center study may have solved this mystery by identifying how cancer cells escape treatment, leading to recurrence. The findings were presented Dec. 6 at the 57th annual meeting of the American Hematologic Society in Orlando, Florida. Multiple myeloma is the second most common type of blood cancer in the United States, after lymphoma and leukemia. There are about 24,000 new cases, and 11,000 deaths each year. Initial treatment for most multiple myeloma patients includes a class of drugs (Revlimid or Pomalyst) broadly known as immune modulators. While initially effective at treating the disease, the drugs fail to prevent relapse in nearly all patients because of residual cancer cells that escape therapy. In examining these remaining myeloma cells, the Yale team discovered a previously unidentified biologic pathway induced by the immune modulating drugs that enabled the residual cancer cells to survive and proliferate. “In this case, the pathway involved the loss of a protein called MBD3 that allows tumor cells to become more like stem cells and persist,” said first author on the study Rakesh Verma, a postdoctoral associate in hematology. 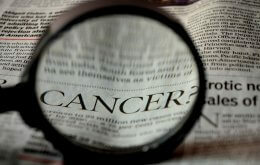 This study was supported by the National Cancer Institute.